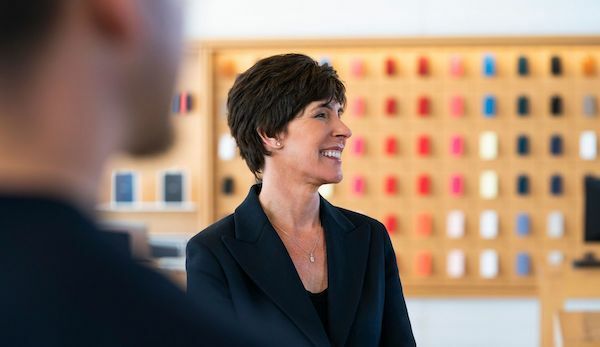 Earlier this week, Apple named Deirdre O’Brien as its new SVP of Retail after announcing that Angela Ahrendts will be leaving the company in April “for new personal and professional pursuits.” Today, Bloomberg has revealed that O’Brien has been awarded a stock bonus worth more than $8 million by Apple upon her promotion. The Cupertino, California-based technology giant gave O’Brien two sets of 23,922 restricted stock units — one group that will vest across three years beginning Aug. 5, 2021, and the other based on the company’s performance that may vest on Oct. 1, 2021, according to a regulatory filing. Each set is worth about $4.1 million based on Apple’s stock price of $170.94 at Thursday’s close. 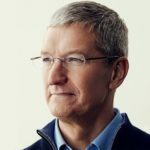 O’Brien has been working at Apple in various roles for almost 30 years, and has been granted a total of 108,963 shares since 2015, which vest through October 2022. Based on Apple’s closing share price from yesterday, those equity units are worth a total of $18.6 million. In comparison, however, when Angela Ahrendts joined Apple after leaving Burberry back in 2014, she was awarded stock grants worth about $68 million, which included a signing bonus as part of hiring her away from the fashion giant. According to Bloomberg, Ahrendts was paid at least $170 million, including salary, bonuses, and vested stock awards, during her 5-year stay at Apple.